It's Sunday and as I'm procrasinating about my current writing project I've found just the thing to while away some time. It's raining and the garden is a sorry mess covered in Autumn leaves and begging for attention but it's too cold and wet to attempt any kind of tidying up so what to do? I have lots of seed packets, half full or with just a few seeds left in it so taking inspiration from those faraway days of childhood when we sowed mustard & cress on paper towels in the classroom I decided to have a go at growing a variety of greens on the windowsill. 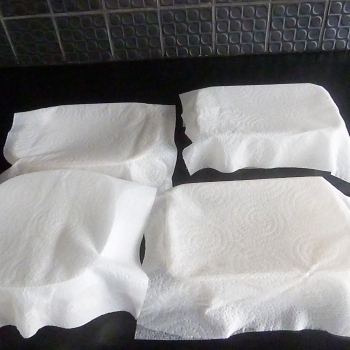 I have paper towels, I have various plastic punnets, I have seeds, I have water so it really is a simple task. I folded the towels so they are 4 sheets thick. I soaked the towels making sure there is no excess water otherwise the seeds just float. Sprinkle on the seeds and spray with clean water. I have then soaked another towel and covered the container to keep the moisture in. As I am the impatient type I will no doubt not be able to resist peeking in every couple of days but depending on the type of seed you should see movement pretty soon. Keep the seeds moist but not so wet that they rot. A spray each day should be enough. Once the seeds have sprouted they will be ready to harvest with scissors in about 7 -12 days although this will vary depending on what you're growing. keep the tray moist and it's likely you'll get a second flush of growth. If you sow successionally you could have fresh microgreens avover the whole winter. This is simple project to try over the winter. You can sprout most things but I've used rocket (obviously) lettuce, basil and beetroot. 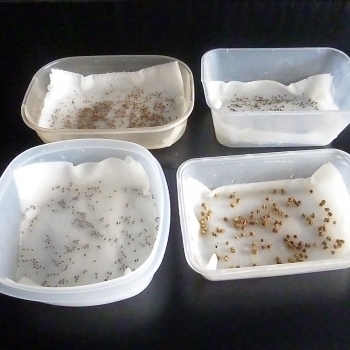 Like I said before we all did this as kids with mustard & cress seeds on the window sill so have a go, seeds are cheap and because it's season end some places are selling them off at a reduced price. 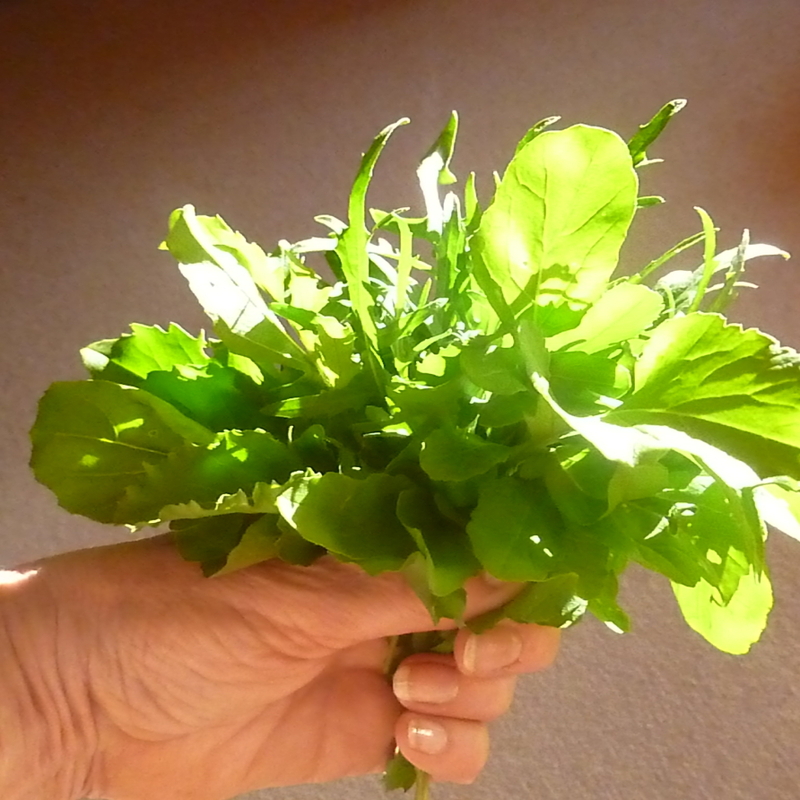 You don't need specific 'micro-greens' seeds any seed that produces edible leaves is worth a try. Pea-shoots, kale, any of the soft leaf herbs and even wasabi. The choices are endless, get the kids involved, grow them for a salad or simply as a pretty decoration.